Sophie Reason in Culture & Arts Drama on 7 February, 2019. “Ophelia is Also Dead” is a play focusing on the untimely death of Shakespeare’s Ophelia. The audience is channelled into an intense engagement with this haunting literary figure’s theatrical purpose and deepest personal feelings. Ophelia (Fionna Monk) recounts the minute and major parts of her childhood, also referencing all the versions of “Hamlet” that she has been a part of. On a simple set, this is a story of what was and what could have been. It comes face to face with the most horrific of goodbyes, offering a thoughtful exploration of well-known characters in new lights. The play is clearly preoccupied with questions of growing up, and how one navigates the mangled transition from girl to womanhood in a world defined by decay. Ophelia’s mother’s presence is especially thought-provoking. It reconstructs the focus onto where this ‘pretty’ girl came from, as opposed to solely labelling her according to the grave she ends up in. Ophelia even waltzes with ideas of love and happy endings at times, but in a flinching, unwholesome way. Everything is unstable, elements of humour rapidly flattened by the background drip of death that swells linguistically and physically throughout the performance. From unsettling allusions to the sea, to the ultimate horror of a winter Denmark death, the audience is directly confronted with questions. This places one in an uncomfortable jeopardy of being simultaneously wrought by the weight of Ophelia’s suffering, and being disturbed by how tangibly close it comes to ourselves. Before going to watch “Ophelia is Also Dead”, I read the writer, Aliya Gilmore’s, note on the play. I was drawn in by the idea of Ophelia being a character who has endured multiple versions of a play in which she acts the victim. This cleverly unravels the layers of watching involved in dramatic art, where here, even the character herself witnesses her identity being twisted and adapted throughout time. Moreover, this concept of watching encapsulates my own feeling of having to ‘see’ Ophelia’s tragedy, without fully understanding the voice or workings behind it. Gilmore’s writing gives Ophelia a real presence, urging one to want to question as much as they want to cry. However, it can be noted that a prior knowledge of “Hamlet” is almost pivotal to one’s appreciation of what Gilmore is exploring, and a brief overview of the original plot beforehand would not go amiss. The minimalist props on the stage, combined with the other characters subtly switching from the demand of animation to background presences, powerfully emphasises a torturous inability to be fully connected. I find the use of swimming goggles particularly impressive, as this comedic element soon dwindles into something sinister. Ophelia grips this prop with the intensity Hamlet holds the skull; her words are just as full of ache, regardless of the object in her hands. Sound is also used to great effect during the performance, from moments of boogying to “Dancing Queen”, to the sickening irony of a heartbeat as death swamps the stage. This declares a fearlessness of exploring the whole spectrum of what it means to be human. The play is cleverly staged to enhance the implications of feeling both present and absent, whilst the small cast number adds both intimacy and intensity. The ending of the play feels ambiguous in sentiment, and this makes it all the more compelling. 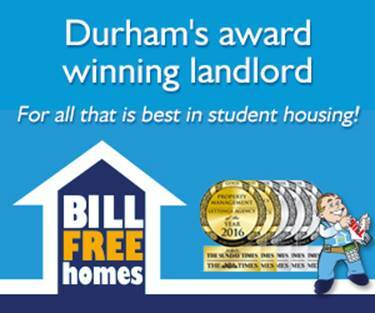 Fionna Monk’s exceptional command of the stage carries itself to, and indeed beyond the final scene; “Ophelia is Also Dead” is most definitely a worthwhile watch at this year’s Durham Drama Festival! 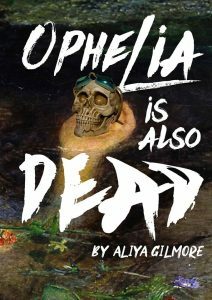 Aliya Gilmore’s ‘Ophelia is Also Dead’ for Durham Drama Festival is on Thursday 7th, Friday 8th February at 8:30pm and Saturday 9th February at 3pm in the Mark Hillery Arts Centre.